If you need any help with estimating or understanding the value of our insulation products and services then please contact us by phone or use the simple form below to get a quote. 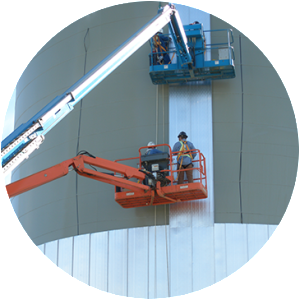 Enerpro is an experienced manufacturer and installer of interlocking thermal tank panel systems that are cost effective, have a great thermal insulation rating, are highly efficient, and have long life. Enerpro insulation has installed this system in the oilfield, mining, chemical and industries with the need to reduce costs and improve efficiency. Thermal Insulated Blankets. Removable and Reusable. 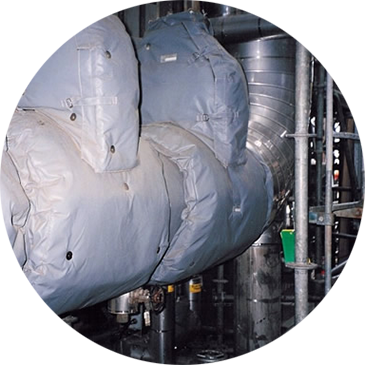 We can offer the best price for supply and installation for the thermal insulated blankets and covers. Our service includes providing experienced technicians to conduct a field assessment of your requirements and offer either a base price or an individual per blanket price for your specific requirements. Contact Us to learn more. Equipment Insulation We ARE insulation experts. We draw from our expertise and industry experience to provide you with the necessary requirements to protect equipment and pipes from heat loss and to increase efficiencies of mechanical systems which will also preserve the quality of the product these systems are transporting. Contact Us to learn more. © 2015 Enerpro Insulation. All Rights Reserved.